Spring is right around the corner (even though I can’t really see it from where I am at, the temperatures keep dropping, rather than go up) and so it’s time to brighten up my makeup just a bit. 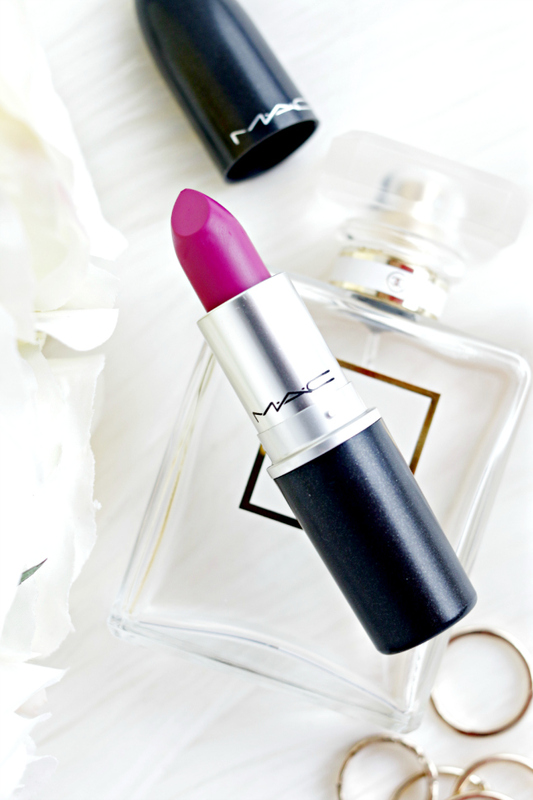 Lately I’ve been crazy about MAC’s Flat Out Fabulous lipstick. Flat Out Fabulous is part of MAC’s Retro Matte Collection. 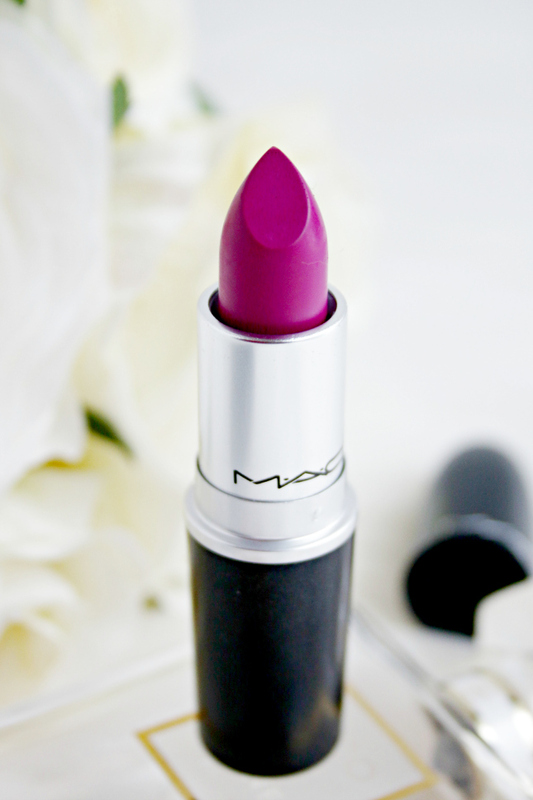 It is a bright, cool toned, pink-y plum that would be flattering on many different skin tones. The finish is completely matte and the formula is good, but as with a lot of matte-finish lip products it can be a bit drying. I’d definitely recommend applying this with a brush, rather than straight from the tube. That way the product is warmed up a bit and isn’t as drying and applies much easier. This also helps to avoid tugging on the lips. 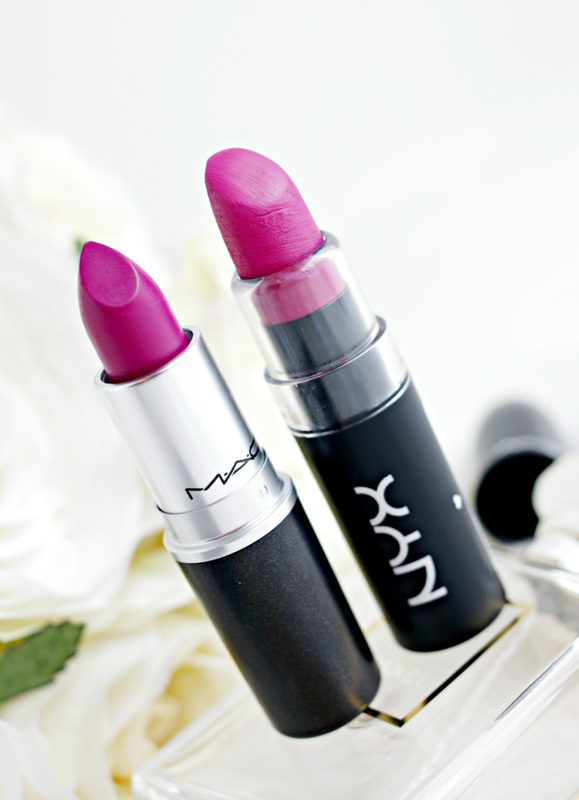 NYX’s Sweet Pink is pretty much identical and a perfect dupe for Flat Out Fabulous. 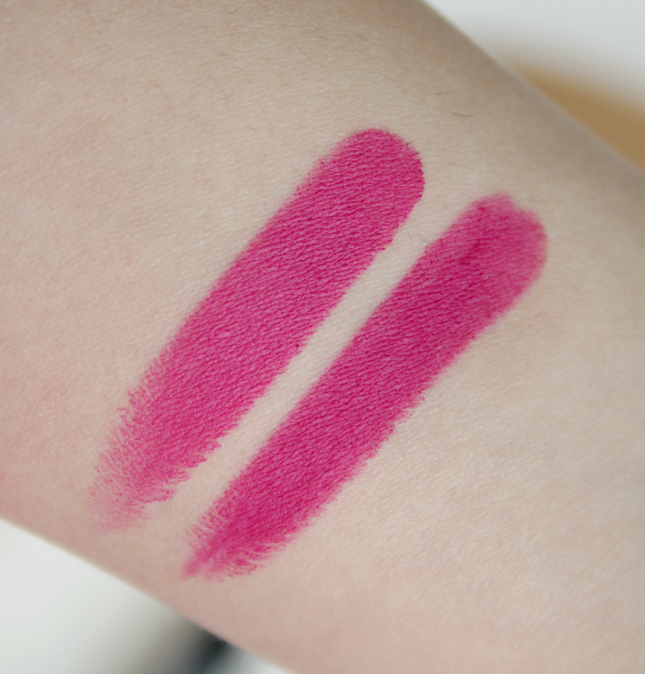 I think that Sweet Pink has a creamier formula, but Flat Out Fabulous is more long-lasting. Flat Out Fabulous doesn’t smear or smudge and has an amazing color payoff. It’s definitely on a bold side and it adds a gorgeous, intense pop of color. 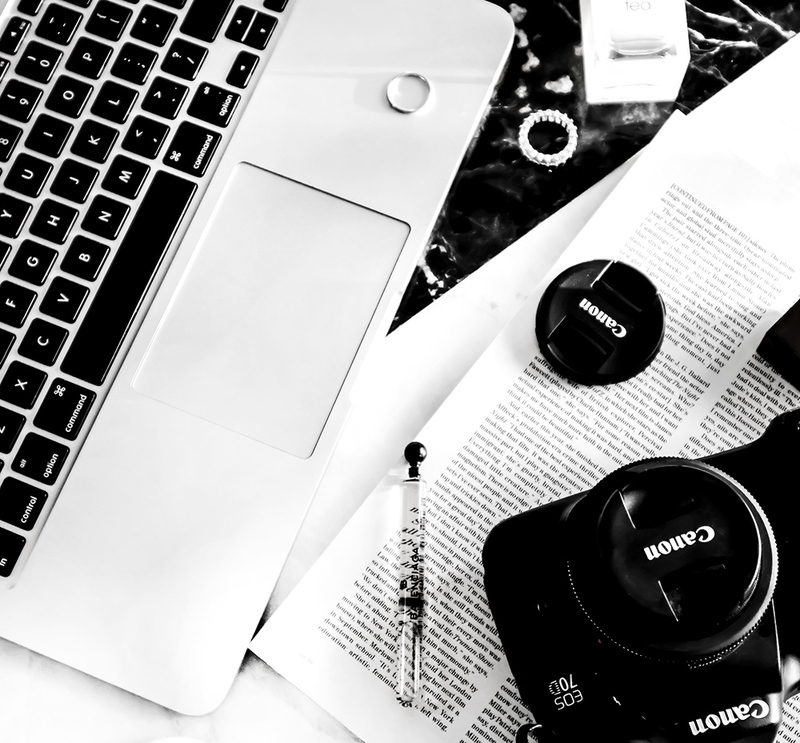 As with all matte lip products, I recommend exfoliating and moisturizing your lips prior to the application.